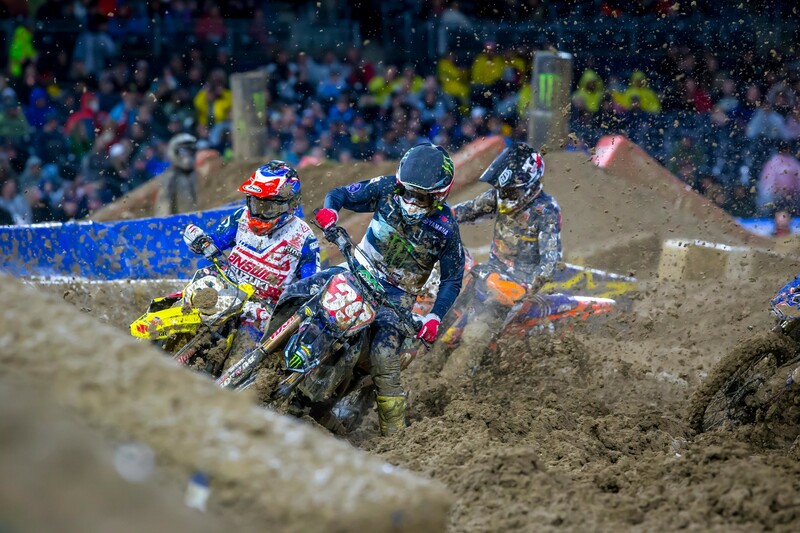 Monster Energy AMA Supercross visited San Diego, California, last weekend for round five of the championship. After rain showers in the afternoon created a complete mudder, Monster Energy Kawasaki's Eli Tomac took the win in 450SX, his first of 2019. He also took over the points lead from Cooper Webb. In 250SX, Monster Energy/Pro Circuit Kawasaki’s Adam Cianciarulo earned his third win of the season and now holds the points lead going into a break for the West Region.